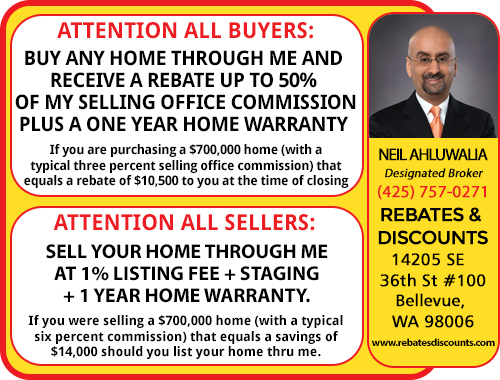 BUYERS: PURCHASE ANY HOME IN THE AREA FROM ME AND RECEIVE A REBATE UP TO 50% OF MY SELLING OFFICE COMMISSION PLUS A ONE YEAR HOME WARRANTY. Whether you're interested in buying or selling a home, there is no bigger decision than choosing the person who will represent you during the transaction. A qualified, competent broker makes all the difference by helping you navigate the many decisions that arise when buying or selling a home. You need someone who has the experience, expertise, negotiation skills, and drive to help you find the right fit for you. 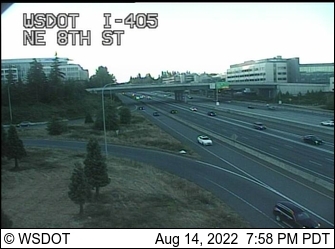 I have been dedicated to delivering outstanding service throughout Puget Sound for over 13 years. Contact me today and let me show you how I can save you thousands when you buy or sell a home. *Sellers typically page 1% to AgencyOne and 3% to the buyer's agent. Reduced listing commission and home buyer rebate is subject to lender approval and other restrictions may apply. Home staging service is for first 30 days of listing and main floor of home. Contact Neil Ahluwalia for terms and conditions. If you are already working with an agent, this is not meant as a solicitation for that business.